Over time, your tires lose air pressure thanks to numerous reasons. Low pressure in your tires can lead to decreased performance, gas efficiency, and handling. Getting nitrogen for tires slows that air pressure lost down, keeping optimal air pressure for longer. It also helps extend the lifetime of your tires, so you purchase tires less often than needed. Not many places offer this service, but thankfully University Chevron does. 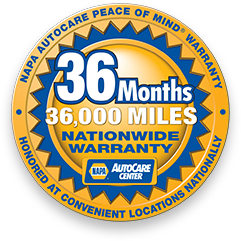 Since 1977, our ASE Certified technicians have provided quality auto service that can’t be beaten. Treat your tires right and get the most out of them when you call us, stop by, or schedule an appointment online today.